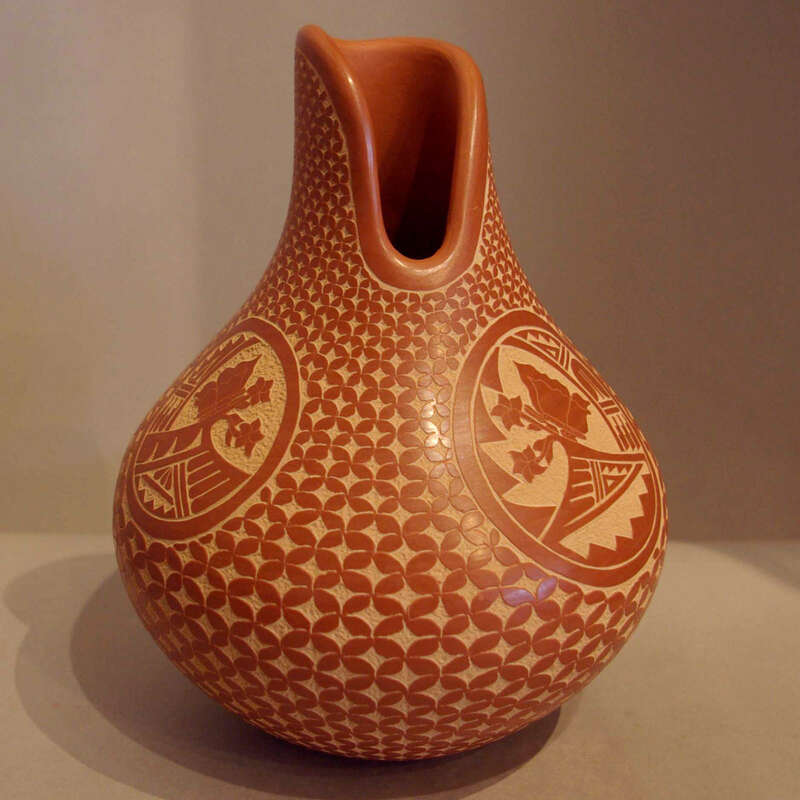 Carol Vigil was born into Jemez Pueblo in March of 1960. 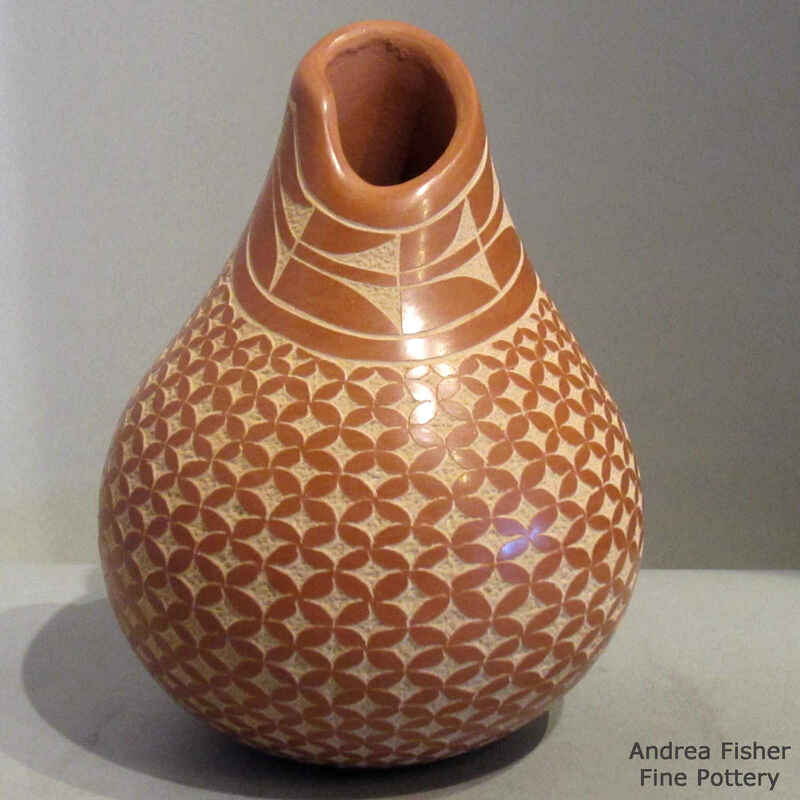 From an early age she watched her mother, her aunt and her grandmother make pottery. 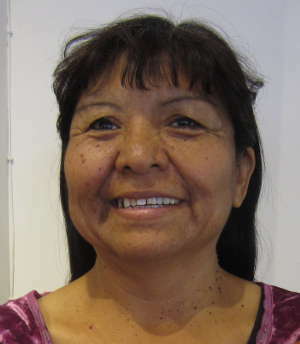 She herself wasn't into it until the day Maria Martinez died. Shortly after that day she put her hands into clay and has worked with clay ever since. 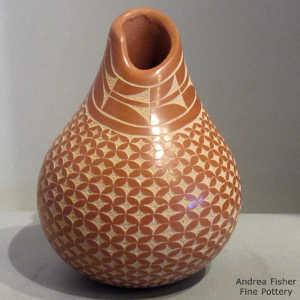 She says she feels encouragement and strength flowing into her from the clay. 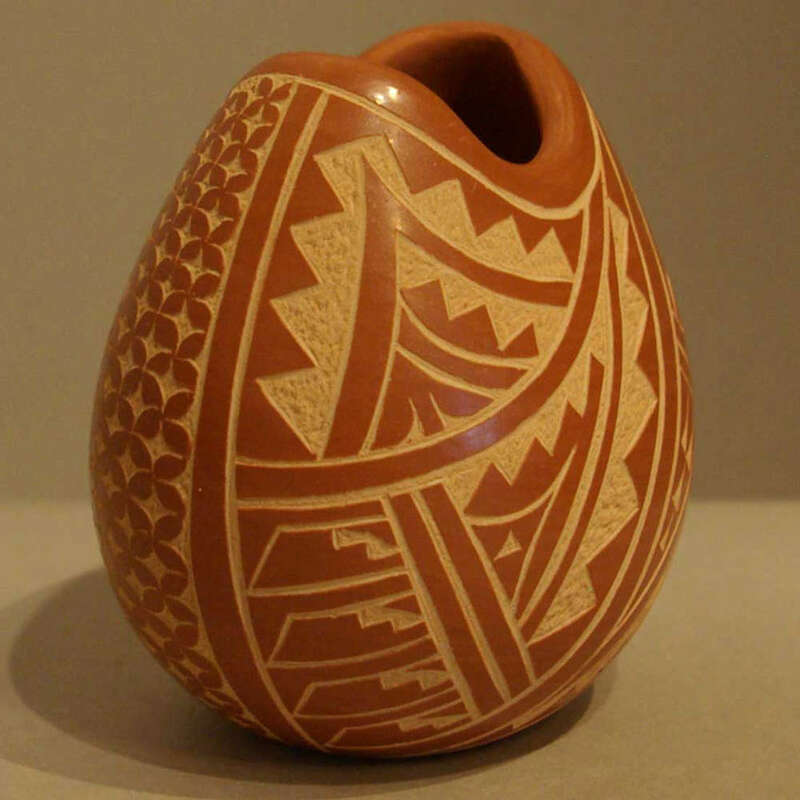 She also took the time and studied the traditional methods more thoroughly with her aunt, Persingula Gachupin, and her grandmother, Julia Baca. 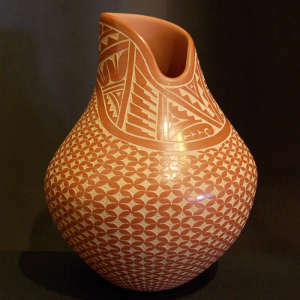 Carol has been making pottery since the early 1980's. 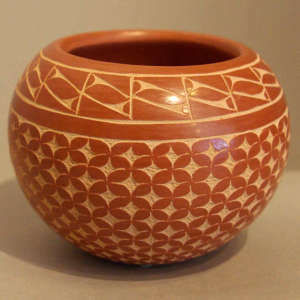 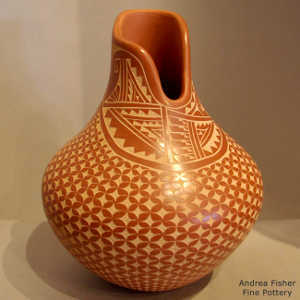 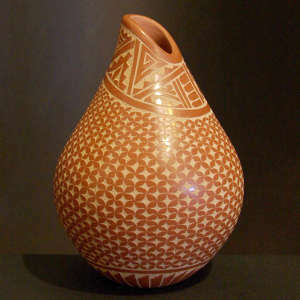 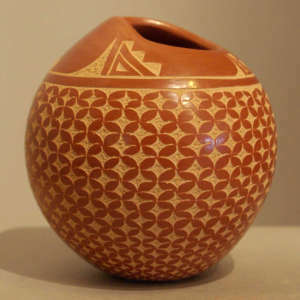 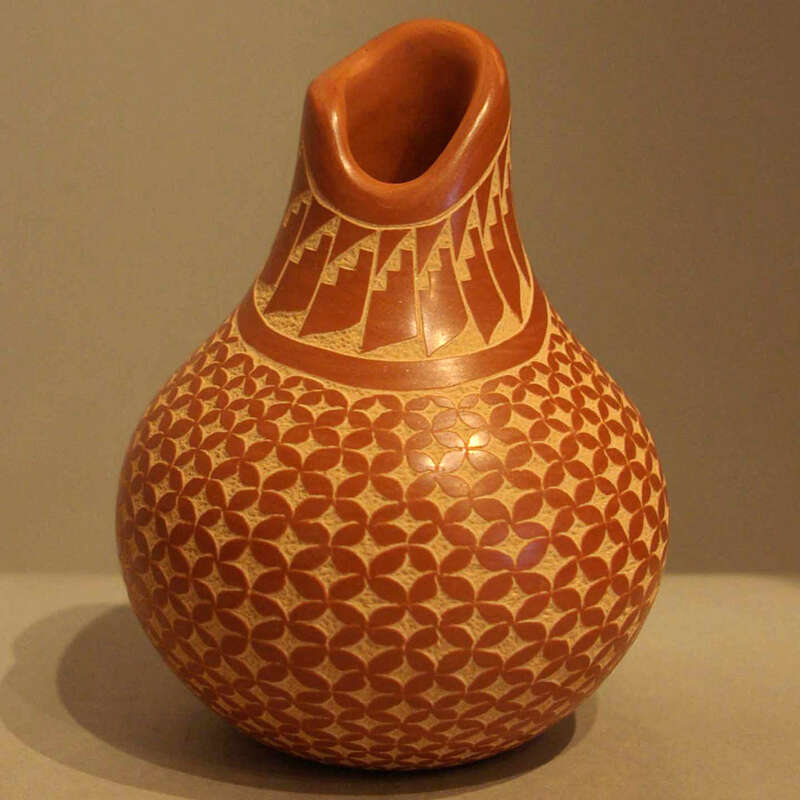 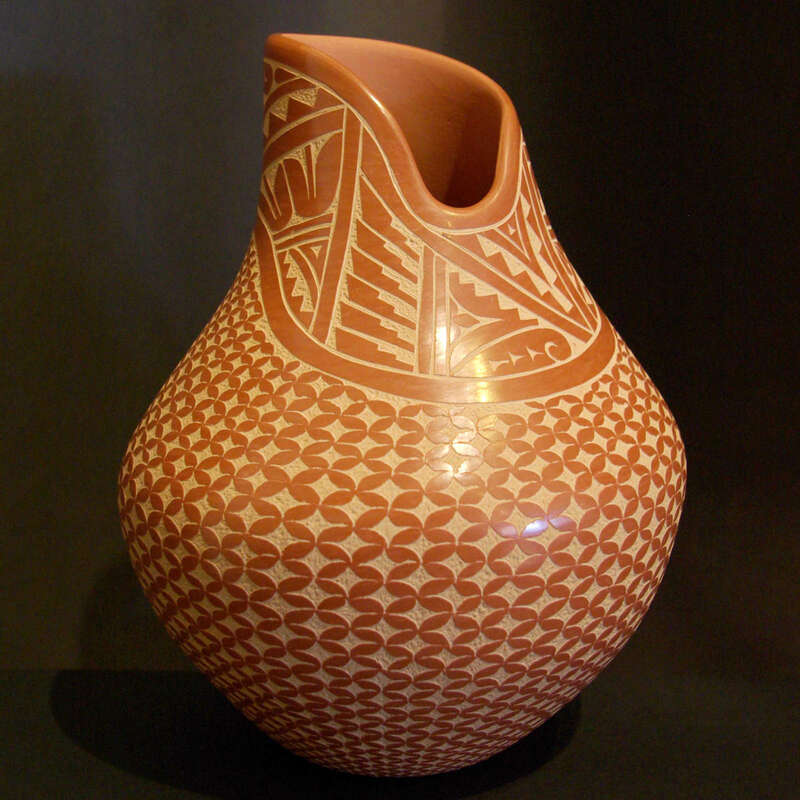 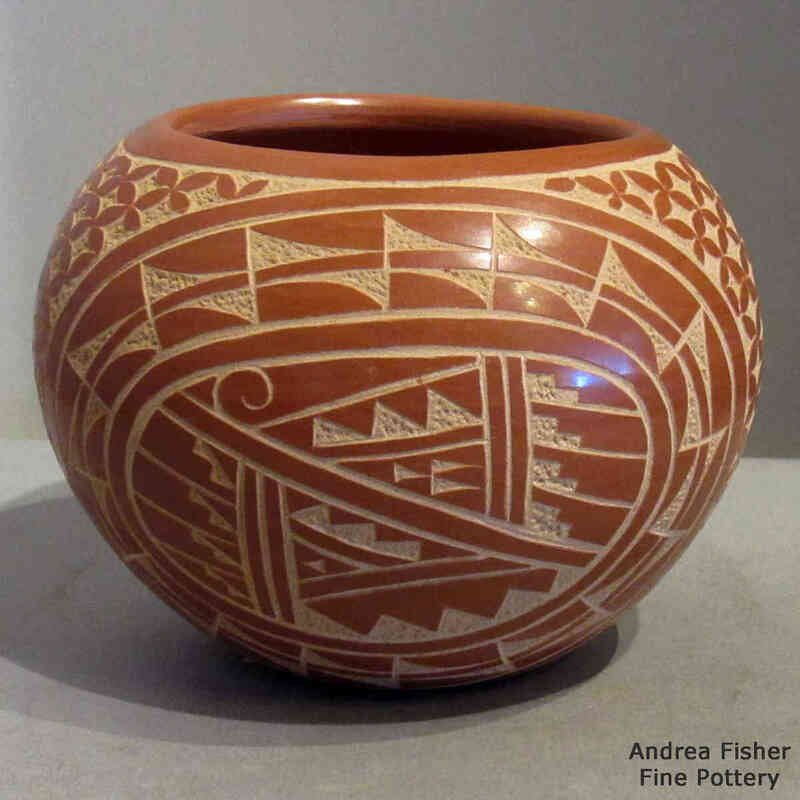 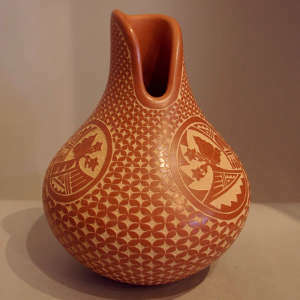 Over the years she's participated in the Santa Fe Indian Market, the Heard Museum Guild Indian Art Fair in Phoenix and the Colorado Indian Market in Denver. 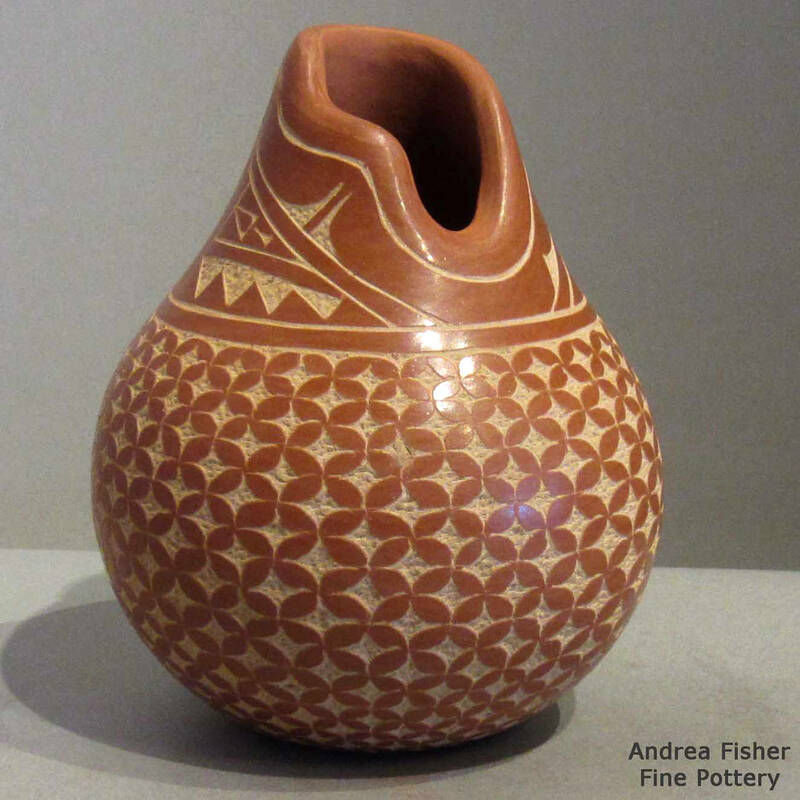 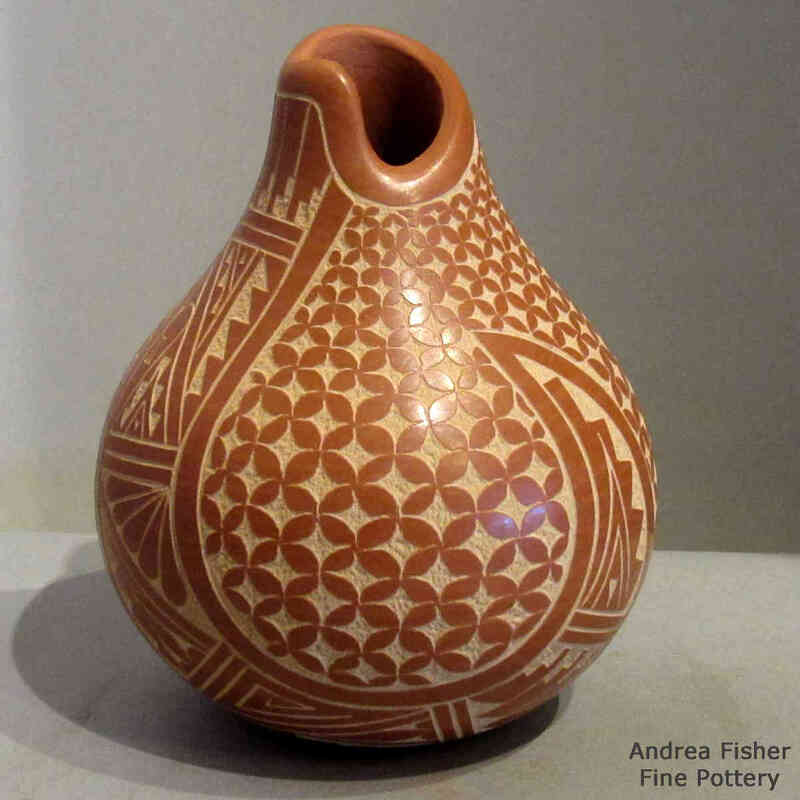 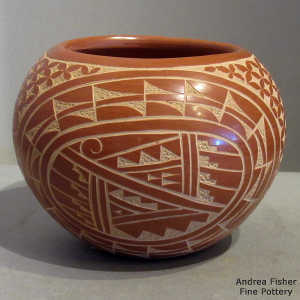 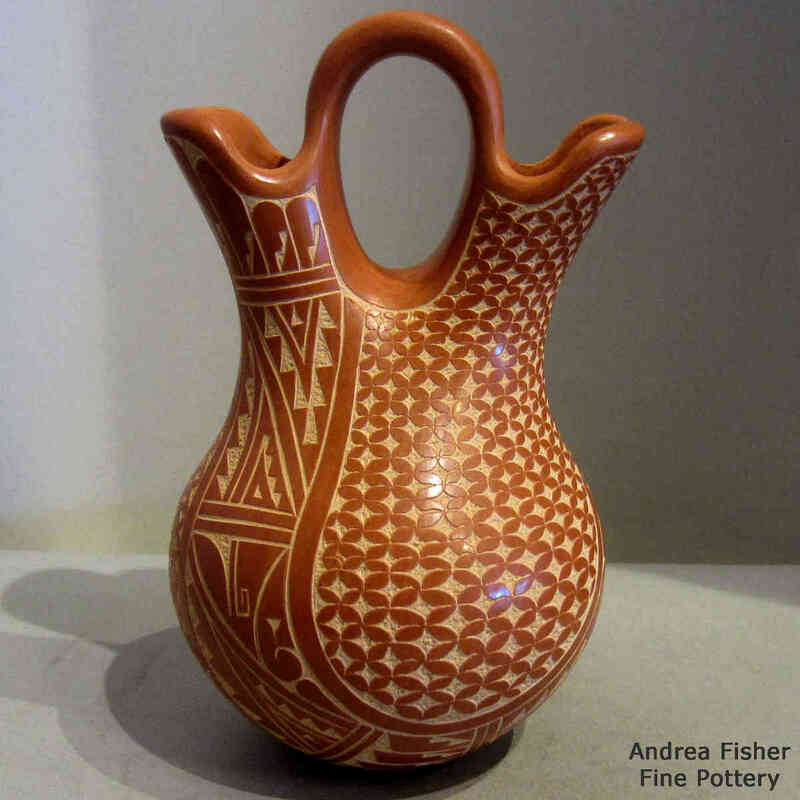 Her pottery has earned one Best in Division ribbon and two Best in Category ribbons in Santa Fe. 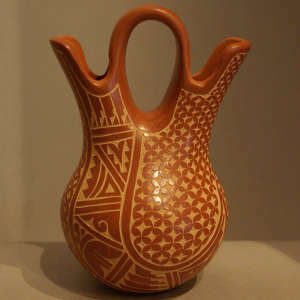 Some of her pieces are on display at the Smithsonian Institute's National Museum of Women in the Arts in Washington, DC. 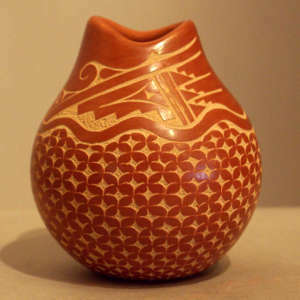 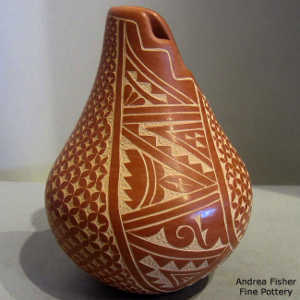 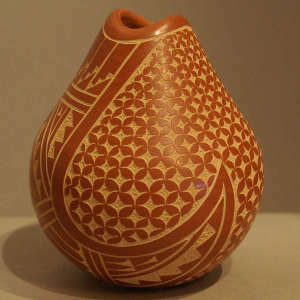 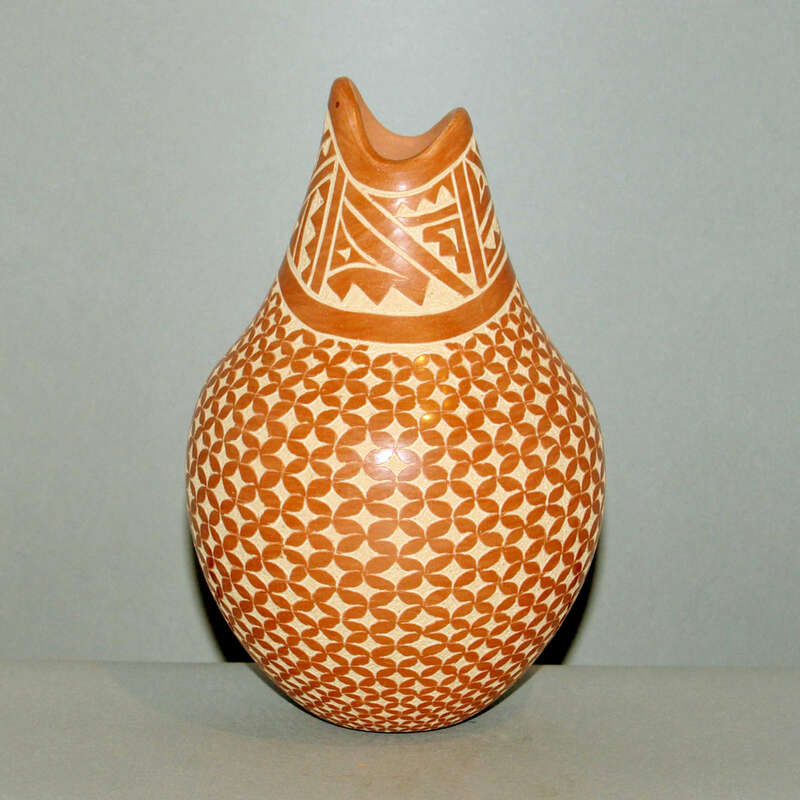 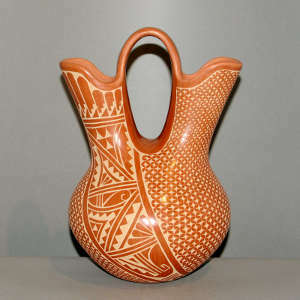 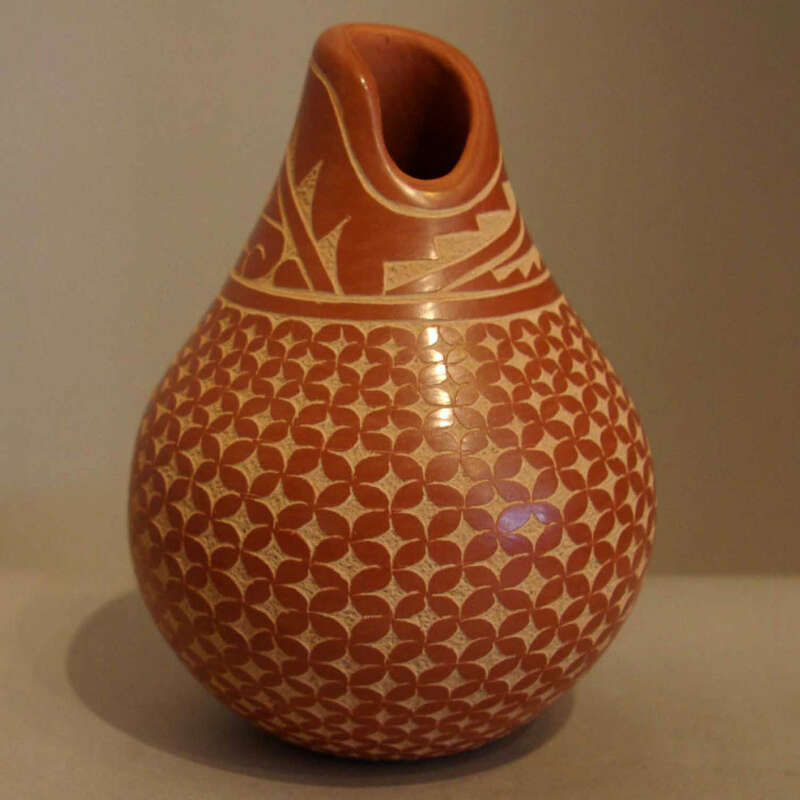 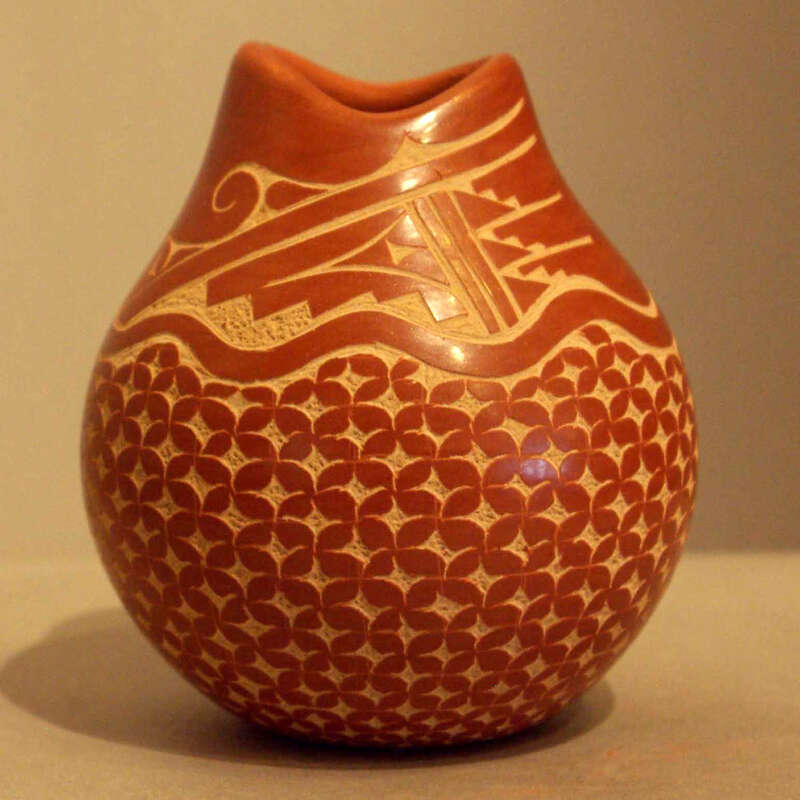 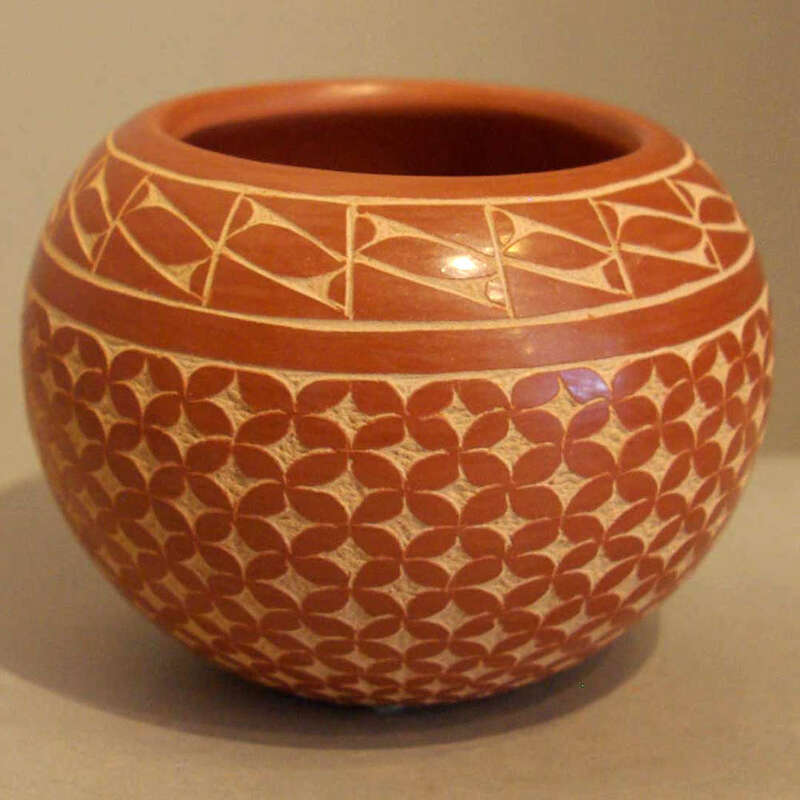 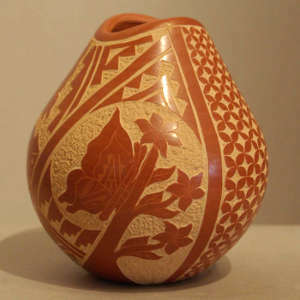 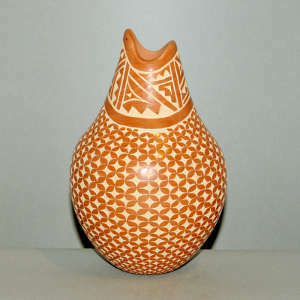 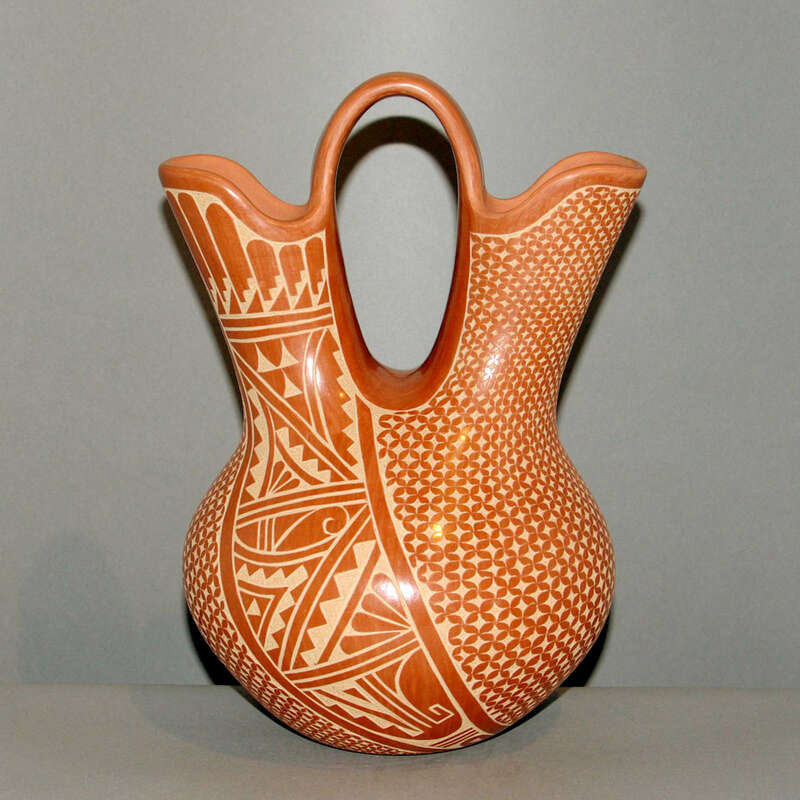 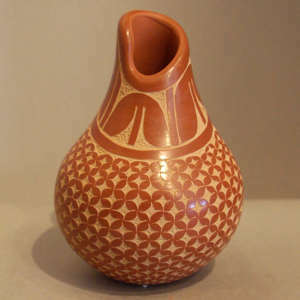 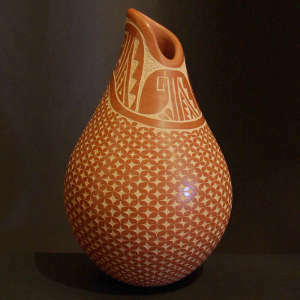 Carol's favorite shape to work with seems to be the polished red vase with an organic opening. 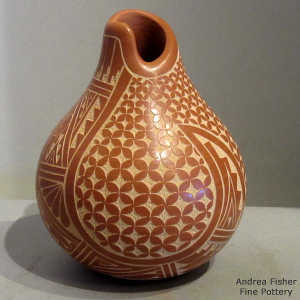 She seems to enjoy decorating those with sgraffito geometric, feather, snowflake and daisy designs.